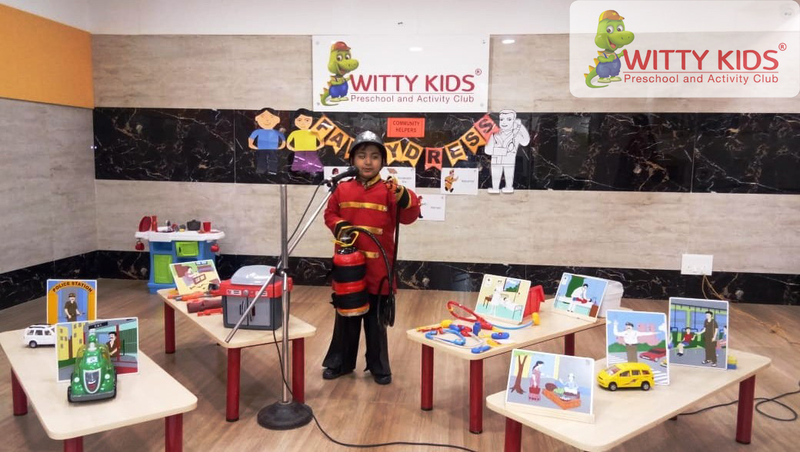 Always ready for the deed. 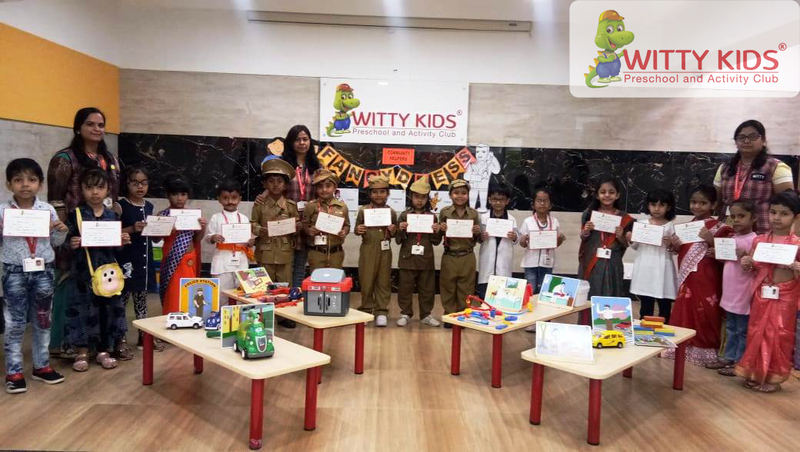 Every month various activities are organised to encourage extra-curricular participation among the children, in order to boost in them qualities linked with team playing, group activities, and creativity as also to break the monotony of regular sessions. 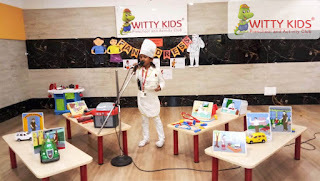 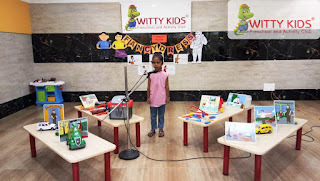 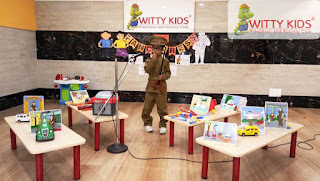 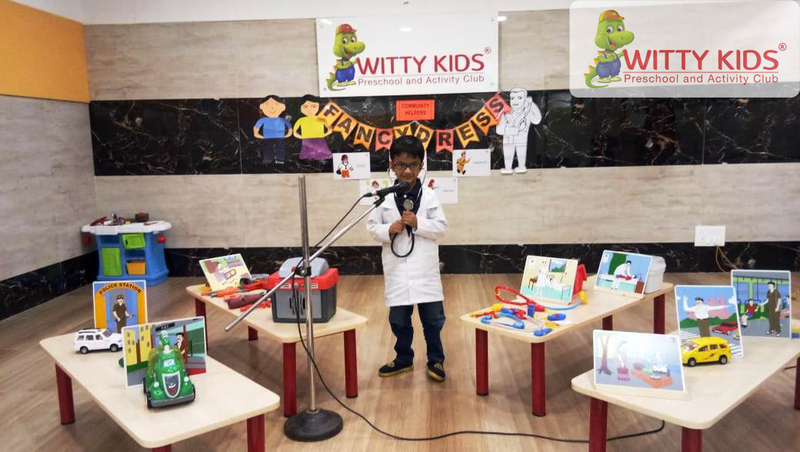 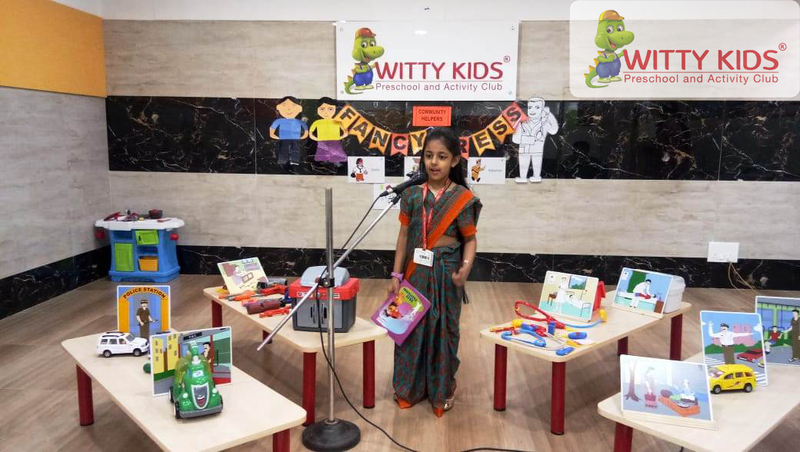 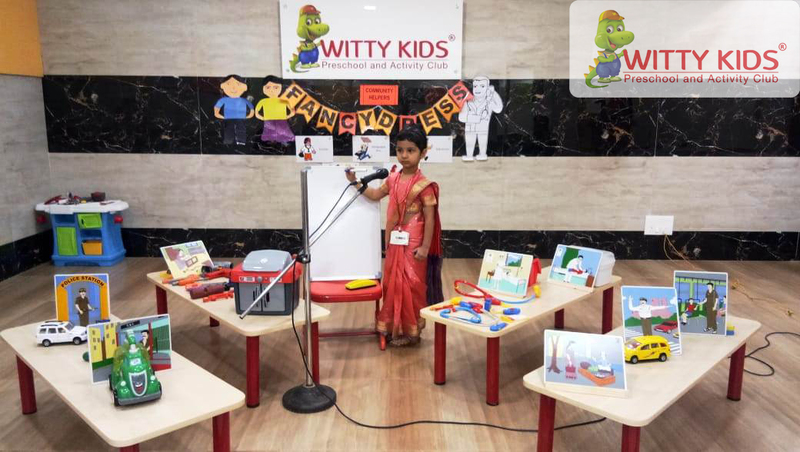 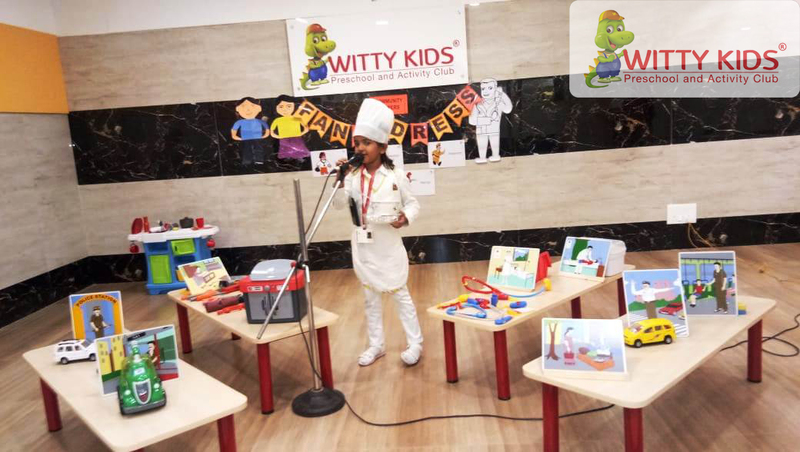 One of the activities conducted at Witty Kids, R.C. 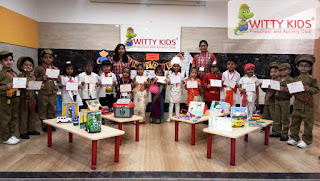 Vyas colony, Bhilwara on Friday, September 29, 2018 was Fancy Dress event. 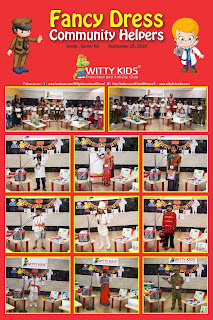 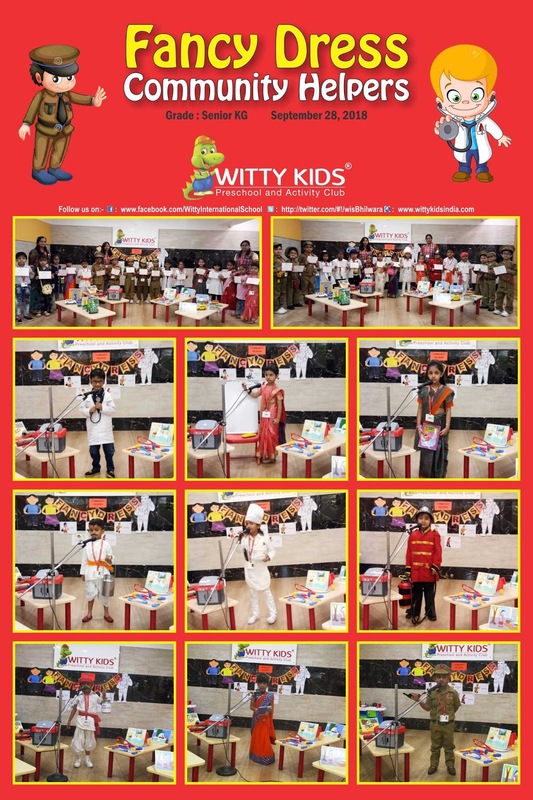 The kids of Senior KG turned up beautifully dressed and the characters of their dressing up varied from that of a milkman, to a doctor, to a watchman, to a social worker, to a captain of a ship, to a lawyer, to a teacher based on the theme of the month 'Jobs People Do'. 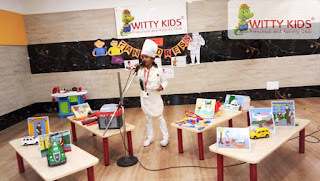 Looking adorable in their costumes, tiny tots spoke about the profession chosen by them. 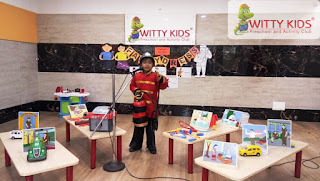 Kids brought the props related to their job. 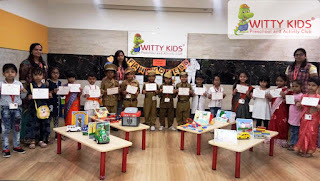 And at the end of the event all the toddlers were given participation certificates as a token of appreciation and to boost the morale of the children.